Beef Bourguignon. 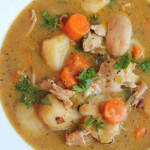 Warm, rich and comforting, this is one of my favorite French food recipes. Serve with crusty bread to soak up the sauce. East coast friends. . so, who was hit by Winter Storm Jonas? I saw photos (and video) of 42 inches of snow. Crazy! I can’t even. Well, I hope everyone is safe and warm and maybe even enjoying a snow day from work? And although mine didn’t quite get to proper stew thickness, it was still delicious. And I got to try out my new Le Creuset Mix & Match Dutch Oven! 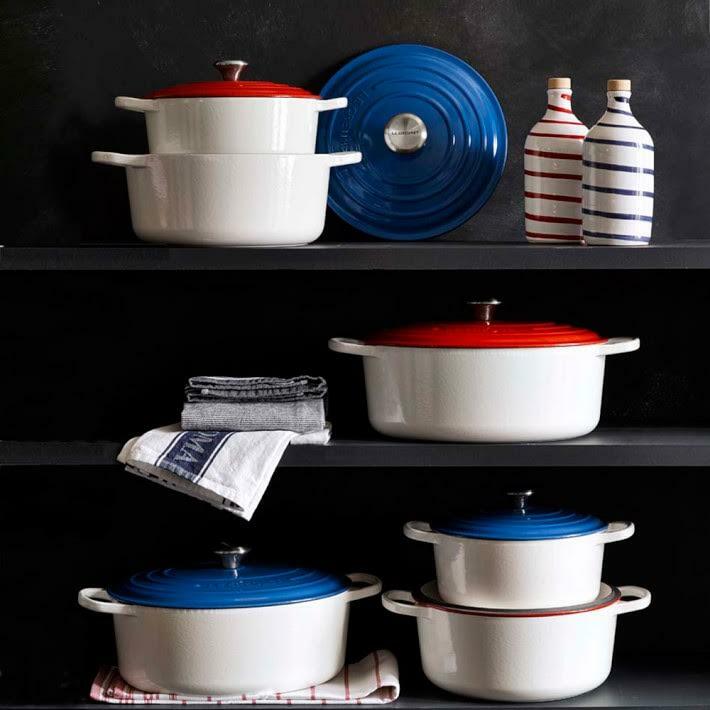 As part of Williams-Sonoma’s 60th anniversary celebration, they’re going back to their French roots and for the first time since Le Creuset started making Dutch Ovens, they’ve created a Mix & Match collection! 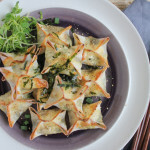 Find some time this winter to make this wonderful dish. It takes some time but it’s sure worth the work and wait. I couldn’t find the traditional small white pearl onions that you usually use for this dish but it was fine! 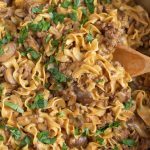 This recipe can be prepared completely ahead, a day in advance, and it only gains in flavor when reheated. 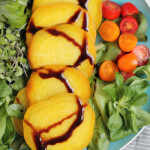 Serve with a fairly full-bodied, young red wine, such as Beaujolais, Côtes du Rhône, Bordeaux-St. Émilion, or Burgundy. Using your dutch oven, sauté the bacon in the olive oil over medium-high heat for 3 to 4 minutes to brown lightly. Remove to a side dish with a slotted spoon. Reheat until fat is almost smoking before you sauté the beef. Dry the stewing beef in paper towels; it will not brown if it is damp. Sauté it, a few pieces at a time, in the hot oil and bacon fat until nicely browned on all sides. Remove the beef and set it aside with the bacon. In the same fat, brown the carrots, onions and 8 oz of the mushrooms, saving the rest for the end. Pour out the sautéing fat. Return the beef and bacon to your dutch oven and season with the salt and pepper. Then, sprinkle on the flour and toss again to coat the beef lightly with the flour. Set dutch oven uncovered in middle position of your preheated oven for 4 minutes. Toss the meat and return to oven for 4 minutes more. 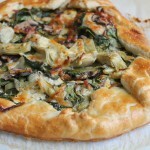 (This browns the flour and covers the meat with a light crust.) Remove your dutch oven, and turn oven down the temperature to 325 degrees. Stir in the wine, and enough beef stock so that the meat is barely covered. Add the tomato paste, garlic, thyme and the remaining mushrooms. Bring to a simmer on top of the stove. Then, cover and set in lower third of your oven for about 2 1/2 to 3 hours, or until the meat is done when a fork pierces it easily. When the meat is tender, pour the contents into a sieve set over a saucepan. Wash out the dutch oven and return the beef and bacon to it. Skim fat off the sauce. Simmer sauce for a minute or two, skimming off additional fat as it rises. You should have about 2 1/2 cups of sauce thick enough to coat a spoon lightly. If too thin, boil it down rapidly. If too thick, mix in a few tablespoons of beef stock. Taste carefully for seasoning. Pour the sauce over the meat and vegetables. Recipe may be completed in advance to this point. For immediate serving: Cover your dutch oven and simmer for 2 to 3 minutes, basting the meat and vegetables with the sauce several times. 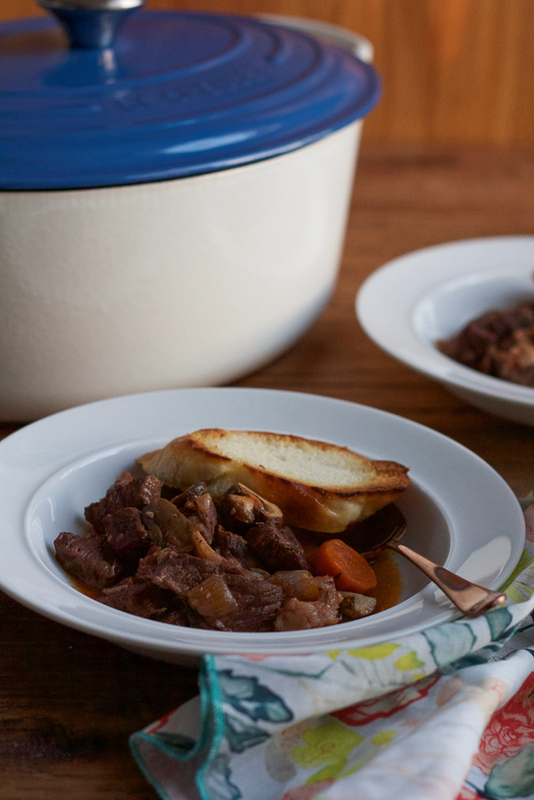 Serve in the dutch oven, with crusty bread. For later serving: When cold, cover and refrigerate. About 15 to 20 minutes before serving, bring to a simmer, cover, and simmer for 10 minutes, occasionally basting the meat and vegetables with the sauce. PS: just some fun news! 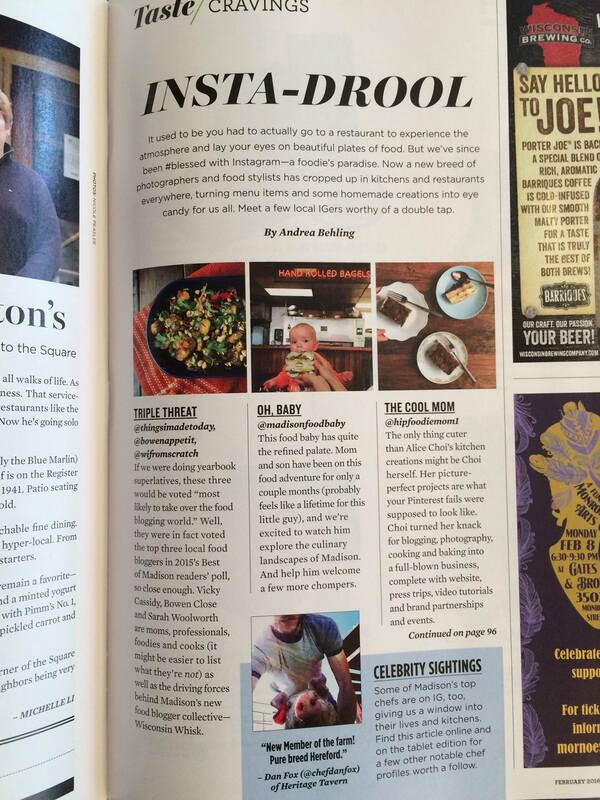 I’m in the February issue of Madison Magazine!!! I don’t think it gets more classically French than Beef Bourguignon in Le Creuset. Such a cozy meal for the snow everywhere! 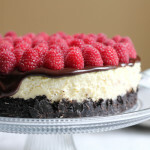 I’m channeling my inner Julia Child to make this later in the week. It looks just like what the doctor ordered out here! This dish will always remind me of growing up, as my mum would cook it all the time. It’s so comforting, isn’t it. What a fantastic comfort food dish, Alice! 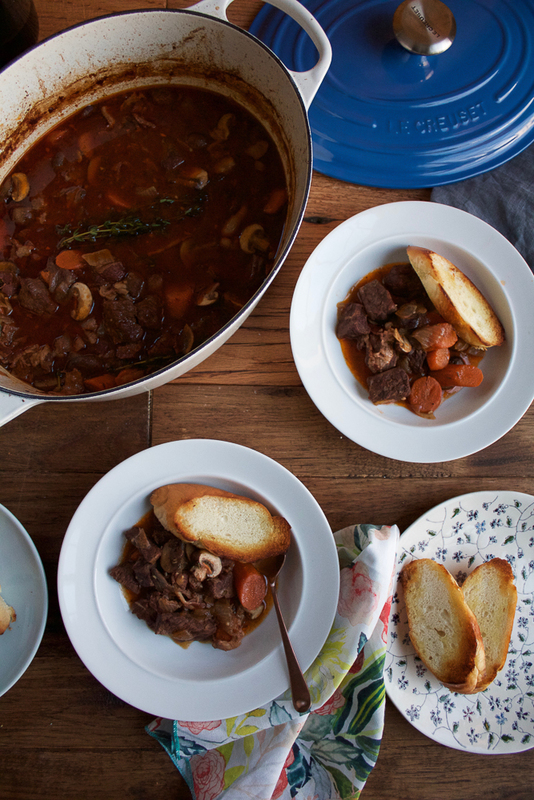 I’ve only had beef bourguigon once before, so I’m loving that you made this. Definitely needed for the winter! We got hit by the storm, but it wasn’t terrible here… it was actually nice being forced to stay in the house and take a few days to R & R. 🙂 Certainly wish we had this Beef Bourguignon to keep us warm! 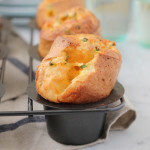 Such a classic, comforting dish and yours looks perfect, Alice!! And I love that new mic and match line! Need! Cheers, my dear! Oh, and pinned! Oh man I’ve been seriously eyeballing those new Le Creuset. I’m in love with them. And with this beef bourguignon. Gah. Looks so comforting, Alice! We got completely spared by the storm (for once), so no snow day for me. And I’m pretty happy about that! 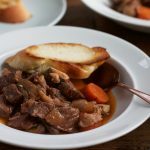 Beef bourguignon is one of the first recipes I ever tried preparing on my own, and it holds a special place in my heart. This looks so wonderful! You know what? I’ve never had Beef Bourguignon! I KNOW…I am the worst…it’s such a classic. But, you’ve inspired me to try this – it would be perfect for Valentine’s Day! Pinned! 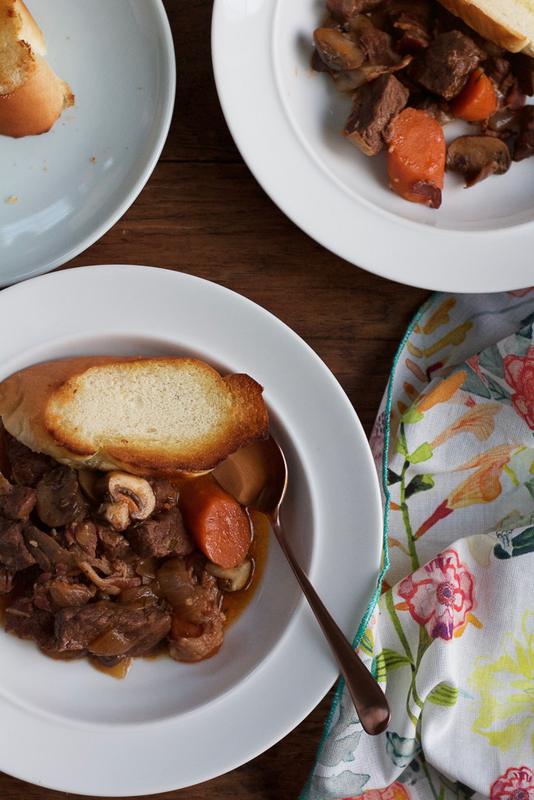 This beef bourguignon looks incredibly delicious, Alice! It’s comfort food at its finest! 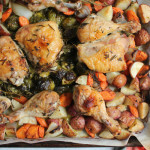 Such a great, classic comfort dish, love this! Awesome and comforting dish, perfect for this cold weather 🙂 These new Le Creuset french ovens are gorgeous! Absolutely wonderful dish for the crazy winter weather going on. 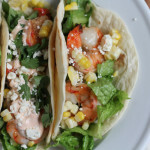 No snow for us, but we’ve been getting dumped on with rain – I could certainly use a dish like this! And I love, love, love Le Creuset! Perfect for this classic dish! Love this classic dish, Alice! Looks gorgeous! So hearty and warm for these snowy cold days! Your food photography is so stunning Alice, this bourguignon looks so mouthwatering! Such a great, comforting recipe! Love your dutch oven too! 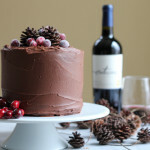 This looks like such amazing winter food!! So perfect for a cold night! We didn’t get much snow but it’s been really cold so this beef bourguignon is the perfect comforting dish! It looks SO good, Alice! Love Le Creuset Dutch Ovens, these color combos are so pretty! Girl this is absolutely sensational!!!!! I want me some of this. I saw all the snow on the news — so crazy! We haven’t had a good snow in quite a while, but we’re still thoroughly covered! 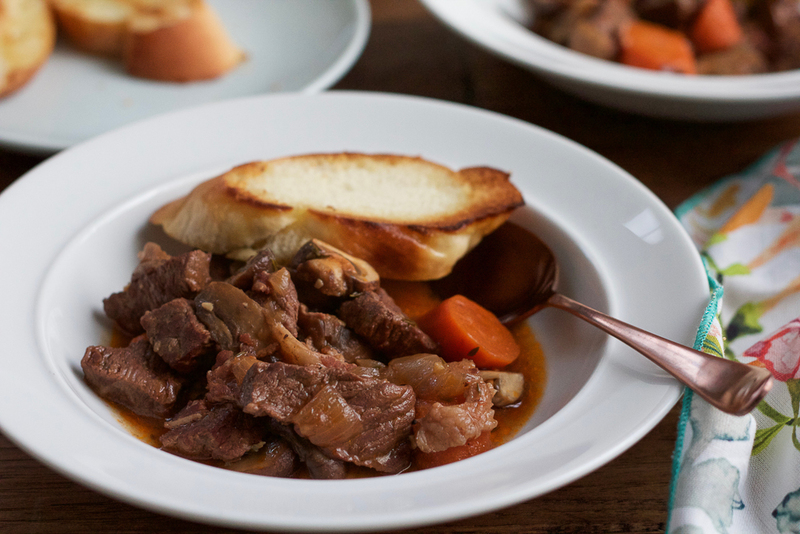 This Beef Bourguignon is so perfect for these chilly days! These are great pictures! 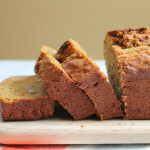 I am totally on board to try this recipe! Pinned! First of all, love the new site!! Second…uhmmm I need one of those le creusets ! 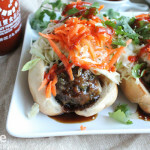 Also this recipe looks amazing! !